For the third summer running we welcome back our free boutique urban festival, Lock Live, and with music from artists including band of the moment Stealing Sheep, the legendary Cuban Brothers and the one and only Norman Jay MBE, you know your ears will be in for a treat. But it’s not just about the music, if you come down to Lock Live, you’ll find some of the tastiest dishes from London’s street food scene, bars serving some of the most summery cocktails, craft beers and ciders and it wouldn’t be a festival in Camden Market without independent artisan shopping and stall owners selling you the items they have creatively deisgned and made. 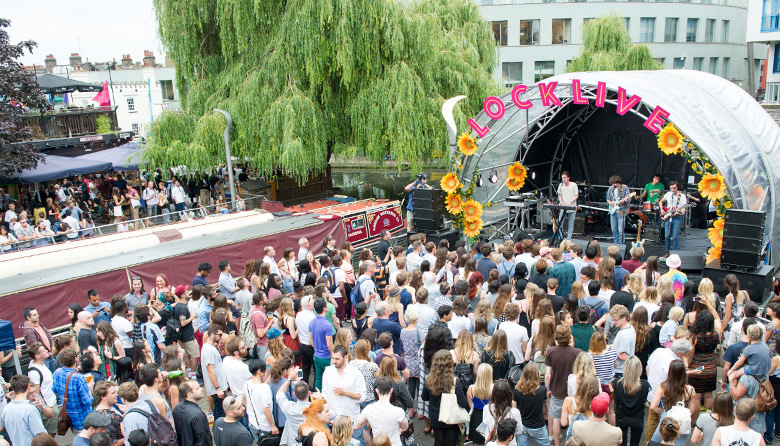 So get ready for one of our favourite days of the year, as we bring in summer and showcase everything that we think is great about Camden Market.